Here's a quick how to video. QUESTION: I am trying to make my own printable like you showed HERE, but when I print it out it's too fuzzy or pixelated. ANSWER: You aren't using a big enough file. I use a photo and cover it with a rectangle for my blank canvas like I explained HERE. However, if you don't have a nice camera to let you start with a really high res image, you can create one easily on iPiccy HERE and then take it into picmonkey if you're more comfortable using the software there. It'll look like this on iPiccy. After you've clicked the "start editing" button on the home page you'll see this at the top of the page. Pick the one farthest button to the right that looks like an artist palette. Then you can set your own pixels. It goes all the way up to 4000 pixels, which is easily big enough for a massive print. So, if you're looking to do an engineer blueprint like I showed you HERE, the printed dimensions are 24"x 36" so you could set the pixels at 2400 x 3600 (same ratio). Type that in and it will take you to this screen. 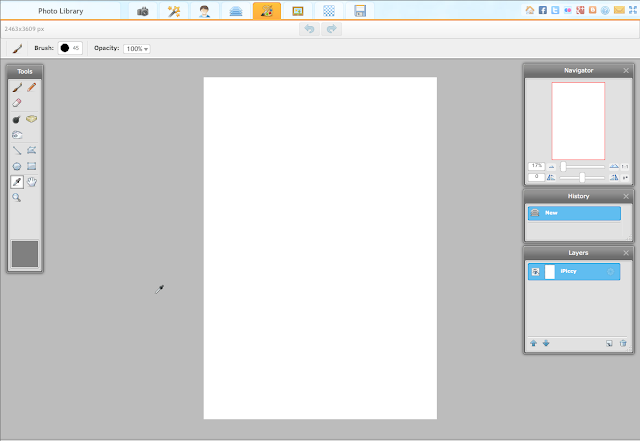 The navigating in iPiccy is a little trickier, but the software can actually do a lot more than picmonkey. Click the tab that's highlighted above (in the picture below) that looks like three pictures stacked on top of each other. Then click on background, then color overlay, and then check the color overlay box. 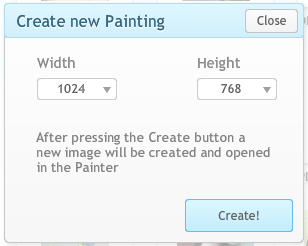 It will let you select the background color. If iPiccy feels complicated just save the image and take it to picmonkey. If not stay and play a while. Whew! That was a lot of info and hopefully it was helpful rather than confusing. Let me know if you have other questions and we'll try to hammer out all the details. I use google documents. I go to google.com/documents and then I can upload and share from there. So in my post, I would include a link to take my readers there if I wanted to share a bigger file of something with them. That's what I use to share patterns as well. Do you suggest printing on your home computer? Or is there a place where you would recommend sending files you create to print? When I create a printable, I always print it as a photo at an outside location. Costco is my favorite because it's very inexpensive. I never use my printer at home because ink cartridges are SO expensive and I hate using my ink. I'm so lost. Lol! I wish you could come over for a hands on tutorial! Thanks for the tips! If you have any specific questions, please let me know. I'd be happy to help you figure it all out. Sorry if it was confusing! This is great! thanx for all the tips & video. I also didn't comment on Sunday, but sending hugs & prayers your way! Thank you! You make it sound so easy. Can't wait to make my own! The only part I am having trouble with, is resizing the printable once it's done. 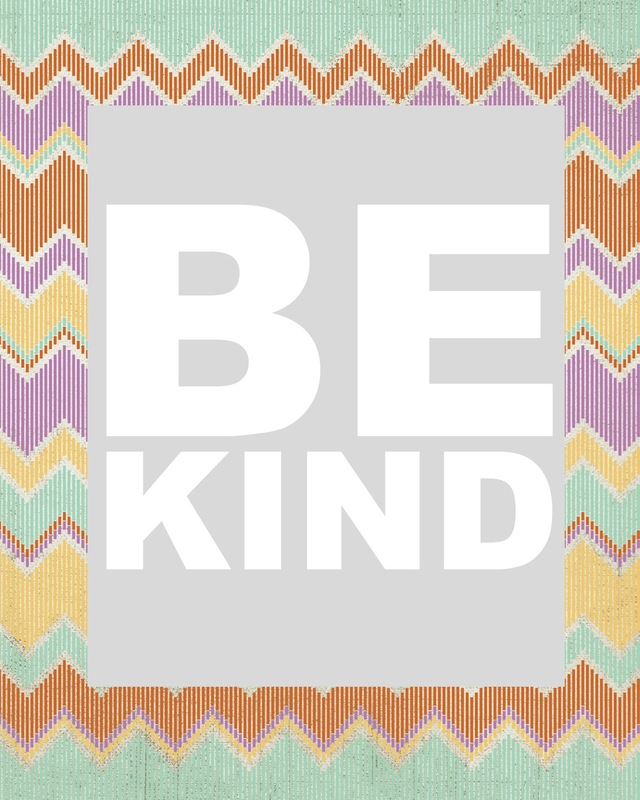 I make the printable in picmonkey. The most common sizes for printables are the regualr 8x10, 5x7, and 4x6. But how do I get the image to be the size that I want? I've tried resizing it in picmonkey, but it never comes out the size I want. I guess I'm not using the right pixels or something? I'm not sure what you're asking. If you don't want it to be an 8x10 or something, what size are you looking for? Maybe you mean you want it to always be printed as a certain size, like a PDF file? I'd love to help answer your question, but I need more details. Can you explain what you're trying to do with it? Thanks so much for the great tips and instructions. Very much appreciated. Awesome Awesome Awesome! This could not have come at a better time!! I am planning my sons Shark Party- so THANK YOU for this Awesome Tutorial! Thank you so much for the tips! I've been using picmonkey heavily the last few weeks to make flyers, invitations and posters for church activities, but was frustrated by the lack of some features. I can't wait to try these new sites when I tackle my gallery wall! I really like a lot of the edits on picmonkey but the site constantly freezes up and it is so frustrating! I do miss picnik! Thanks so much for the info! I have been trying to figure this all out. I have one questions for you though. How do you get your own pictures on there? The layovers they have are limited and I would like to do some diffrent things. On iPiccy it's easy to use your own layers/pictures. I mentioned it at the bottom of the post. Click the photo button and then upload your photo. 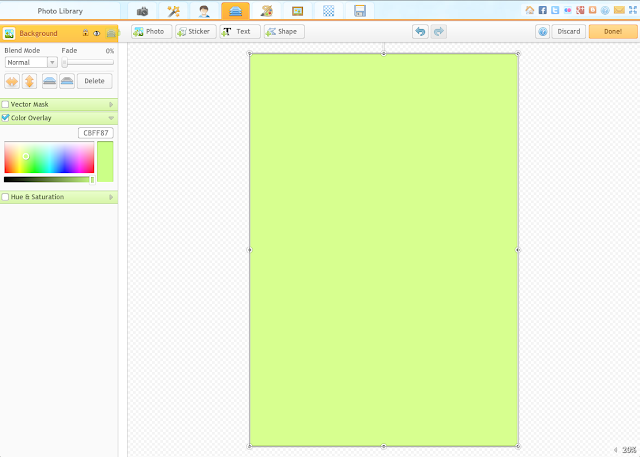 You should be able to resize it and adjust the transparency of it as well. I love your blog and usually poke around but keep quiet. Picmonkey is great but now a more complete replica of picnik is up and running! Check out ribbet.com. The features are the same as picnik - I was using picmonkey but missing the feature that lets you use more than one photo at a time. Thank you, the last time you mentioned picmonkey the link wouldn't allow me to upload pictures, it was strange. Thank you so much for sharing this awesome site with us, i have spent hours playing with the site since you posted. Thank you! Thank you so much for this tutorial! I'm such a novice, but just rocked out some awesome shower invites and game boards for my friend's baby shower. I love how they turned out. Thank you!! wow wow wow! That was easy and awesome, and now I can do so much more. I love taking photos of my boys and I know I have some good shots that now I can play with and get the effects I want. You have just opened the door to my imagination gone wild - thank-you thankyou thankyou. I did it!! Thank you so much for this tutorial!! What would be the best way to make a 16x20 subway art? Just wanting to make sure I mke it so it good quality when printed. Thanks!!! Love your blog! Cheri, what can't I see the whole screen, I can't see the selections you are picking on picmonkey, makes it a little difficult to know what you are doing. Thanks! Thank you SO MUCH!! Your tutorials on subway art have been extremely helpful!! This is helpful, thank you! 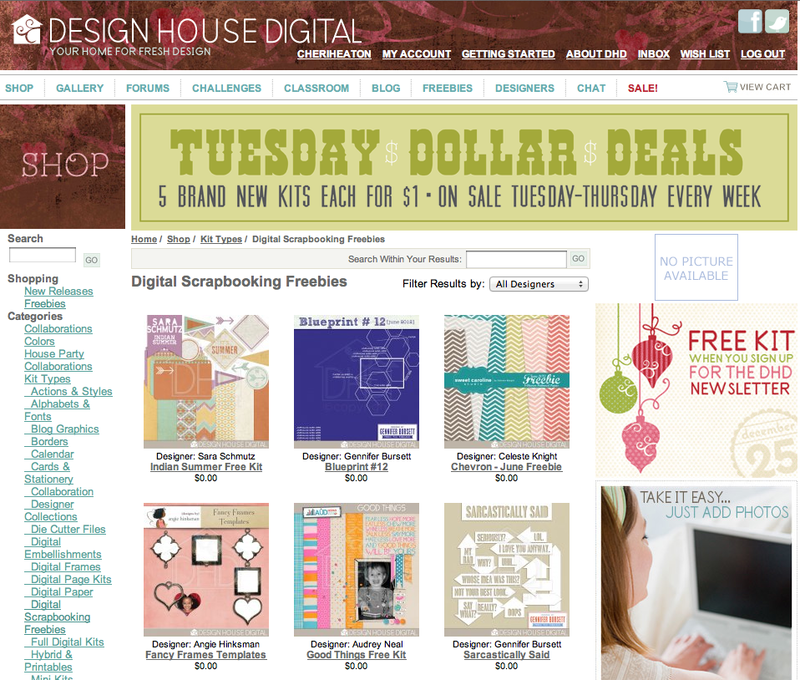 I'd love to know more free websites like the design house digital one, if you know of any. Hi there!! Thank you so much for this info! I am trying to make a 4x6 birthday invitation for my son-do I follow the same instructions as above?? Any help/suggestions is greatly appreciated!! I'm wondering how I can save a file and go back and work with it again. I made a printable using PicMonkey and I saved it to my computer, but when I open it back up, I can't move the text around anymore. If PicMonkey doesn't have this capability, what program do you recommend? I don't know of any way to reopen the file and adjust it again. I just try to do it all in one sitting. Sorry!